HomeRun Homes (www.Lease2Buy.com), one of the largest online marketplaces for Rent to Own Homes, has announced that they have won the long bidding process for, and were cleared to purchase, the domain name HomeRunHomes.com. 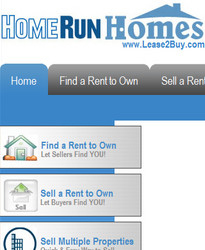 (1888PressRelease) April 18, 2011 - Ronkonkoma, New York - HomeRun Homes (www.Lease2Buy.com), one of the largest online marketplaces for Rent to Own Homes, has announced that they have won the long bidding process for, and were cleared to purchase, the domain name HomeRunHomes.com. Clearing up Confusion - Disparity Between Company Name and Domain Name. 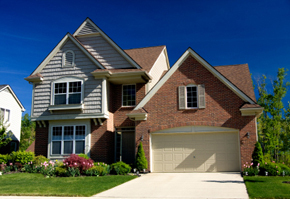 HomeRun Homes was incorporated in New York State in 2002, by it's CEO & Founder, Robert Eisenstein. Eisenstein purchased the domain name of Lease2Buy.com when they first opened their doors, because, as Eisenstein says, "the keyword terms of rent and own were not available, so we reserved the name with the alternate keywords of lease and buy, thus, lease2buy". Eisenstein says that one major issue that emerged over time was that fact that when people "hear" the name "HomeRun Homes" they usually just, "add a .com to then end of it and assume that is our website". He says that, "95% of the time, that is the case, but it's that 5% that we also need to accommodate." The domain name of HomeRunHomes.com was owned by an investment firm and was "parked", which means that it was basically sitting and waiting for offers. Eisenstein says that after a long-bidding war against a few other investors (different investors that were trying to outbid him), the firm paid a, "substantial amount in the after-market for the domain name", which now auto-forwards to Lease2Buy.com, and thus, both Lease2Buy.com and HomeRunHomes.com can be used interchangeably to access the services of HomeRun Homes. HomeRun Homes, which is approaching their 9th anniversary, if often billed as "The" Rent to Own Homes Marketplace", and the website unites both buyers and sellers of Rent to Own Homes via their classified ads.